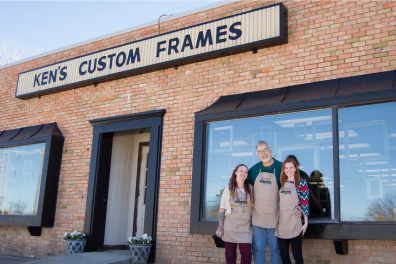 Family owned since 1969, Ken's Custom Frames prides itself on exceptional customer service and superior quality. 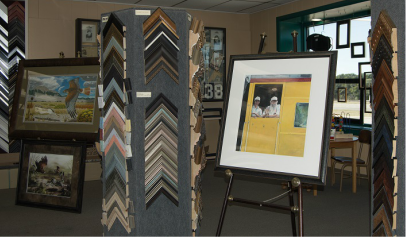 We specialize in creating custom and ready-made frames to showcase your artwork and photographs. We are conveniently located in southwest Fort Worth near Hulen Mall. Let us help bring your artwork to life. Come by for a personalized design consultation or to browse our selection of mouldings, mats and prints. ​​Think outside the frame. Check Out our Project Showcase! "My first time in the shop, Krista and Robert took all the time I needed to find exactly what would complement my four priceless artifacts. Great frame choices, expert advice, reasonable prices, and friendly personal service. Highly recommended!!" Oletta B.